Larry Zeidel, who passed away on Tuesday at the age of 86, might have played less career games than many of his NHL contemporaries, but his impact on players, including a Montreal Canadiens legend, remains as strong as ever. Dickie Moore, one of hockey’s all-time greats, a six-time Stanley Cup winner and member of the Hockey Hall of Fame, regards Zeidel, one of the first Jewish players to join the NHL ranks, as a cherished friend and mentor. Mathieu Schneider, NHLPA Special Assistant to the Executive Director, also has fond recollections of his friendship with Zeidel. Schneider, who played in 1,289 NHL games, winning the Cup with the Habs in 1993, always jumped at the chance to catch up with Zeidel. A bruising defenceman, Zeidel was known for delivering hard hits and a willingness to accept any invitation to drop the gloves. 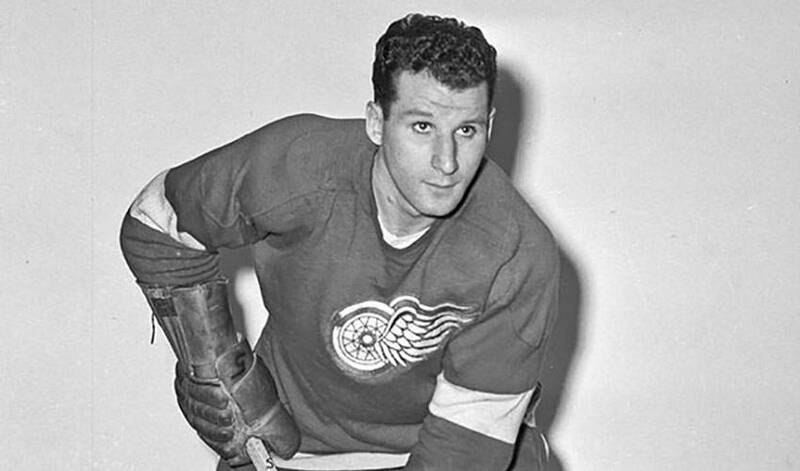 The man dubbed “The Rock” made his NHL debut in 1951-52, skating in 19 regular season games and five playoff games with the Stanley Cup champion Detroit Red Wings, a group that included Gordie Howe and Ted Lindsay. The following season, Zeidel appeared in nine contests with Detroit. He was dealt to the Chicago Blackhawks before the start of the 1953-54 campaign, and went on to play in 64 games with Chicago. It would be nearly 15 years before Zeidel returned to the NHL ranks. His minor-league experience was highlighted by back-to-back Calder Cup championships with the American Hockey League’s Hershey Bears in 1957-58 and 1958-59. He was also a member of the 1963-64 Calder champion Cleveland Barons squad. In 1967-68, Zeidel joined the expansion Philadelphia Flyers. He suited up in 57 games, as well as another nine contests the following season before he called it a career after 18 seasons in the game. Following the completion of his playing days, he remained in Philadelphia, making the city his home. Although they wore different jerseys, Moore knew Zeidel always had his back. Larry Zeidel recorded 19 points and 198 penalty minutes in 158 regular-season NHL games, and in his time spent playing in the AHL he scored 286 points, recorded 1,722 penalty minutes in 706 career AHL games. On Wednesday, Rob Zamuner and Mathieu Schneider were the opening speakers to kick off the Canadian Sport for Life (CS4L) Summit in Ottawa to discuss improving the quality of sport and physical activity in Canada. David Backes, Kevin Westgarth and Mathieu Schneider take to Reddit.com to interact with hockey fans.